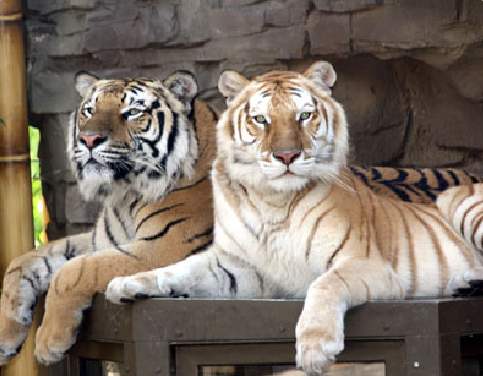 Busch Gardens in Tampa is an amazing, African Safari theme park near Florida’s Gulf Coast. 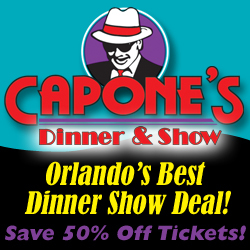 Only about 80 miles from the Orlando area, it is well worth the drive. (See tip below regarding transportation.) With a blend of live entertainment, restaurants, around 3,000 amazing animals, pulse-pounding roller coasters, Busch Gardens has something for everyone. There are several animal attractions at the park including Bird Gardens, Rhino Rally, Walkabout Way, Myombe Reserve, Jungala, and much more. The Bird Gardens features approximately 500 tropical birds in a free-flight aviary. For Rhino Rally, hop aboard a wild jeep tour that takes you through the untamed wilderness of Africa. The new Walkabout Way is where you can meet animals indigenous to the Land Down Under – hand feed kangaroos and wallabies, or check out the kookaburra. Myombe Reserve allows you to view gorillas and chimps in a natural environment. Set in the lush Congo area, Jungala is four acres of fun-filled interactions with up-close animals, a zip line through the rain forest, and a three-story maze of rope bridges and nets for kids to climb. Be sure to check out the baby giraffes that are now part of the herd. 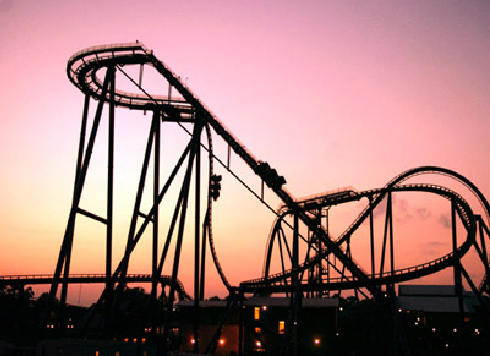 For the thrill-seekers in your group, be sure to check out their many amazing roller coasters. SheiKra is a floorless coaster that takes you just over the edge of a true 90 degree drop, that is AFTER it takes you on a 200 foot climb! For 4 seconds, you are suspended high above the park before plunging towards the ground at over 70 miles per hour then going into a loop and taking a 2nd vertical dive into an underground tunnel. Wow! Better go on an empty stomach! The Gwazi is one of the largest and fastest wooden double coasters on the planet, with six fly-bys and crossing speeds of 100 miles an hour. Then there is the Kumba, a steel coaster that has been voted one of the best coasters by enthusiasts around the world. It will take you from hair-raising heights to weightlessness through seven inversions, all with speed and grace. There are many more less-intense rides as well, including some that may get you wet on a hot Florida day. The Tanganyika Tidal Wave starts out as a scenic journey, but will plunge 55 feet into the water, soaking the spectators as well as the riders. Congo River Rapids is an exciting white water rafting trip with looming waterfalls and a water cave. Stanley Falls is another log flume where you can get wet and cool off. There are several other rides including Cheetah Chase, the Serengeti Railway, and the Scorpion coaster. For live entertainment, you can check out KaTonga, Rock a Doo Wop, Critter Castaways, Sesame Street 4-D, and more! KaTonga will take you on a musical, mesmerizing celebration through the heart of Africa. The Rock a Doo Wop show features 8 singers and dancers rockin’ out hits from the 50’s and 60’s. The Critter Castaways show features many animals who were rescued and in need of a home, including dogs, cats, ducks, doves, and even pot-bellied pigs. The little ones will love the Sesame Street 4-D show featuring Elmo, Cookie Monster, Big Bird, and their other favorite characters. There are many dining options, including the play and dine all-you-can-eat plan. So, check out the Interactive Map, plan your trip, and have a great time exploring the African plains at Busch Gardens! You can save money by purchasing a multi-park ticket if you are planning to visit Busch Gardens’ sister parks, Sea World, Discovery Cove, and Aquatica. Start at rides in the back of the park and work your way forward. As always, if children are not tall enough for a ride, do NOT use lifts or other tricks to make them taller – the height and safety restrictions are there for a reason. They do offer a kennel service for pets while you are at the park. Contact Busch Gardens for further details. For more information about Busch Gardens, visit their web site, or type in ‘Busch Gardens’ in our search (top right) to read more articles about this theme park. Feel free to leave a response below about your visit to Busch Gardens and share your tips and experience!